Pirzada Muhammad Jahangir Sultan son of Pirzada Muhammad Rafique Bhutta was born in 1957 at Multan. An agriculturist, who was Member, Zila Council Multan during 1987 and Member, Zila Council Lodhran during 1995; and Chairman, Market Committee Duniyapur during 1986. He has retunred second time as Member, Provincial Assembly of the Punjab in general elections 2018. His brother, Mian Muhammad Habib Sultan served as Nazim, Union Council No.237/W-B during 2006; his cousin, Pirzada Mian Shahzad Maqbool Bhutta remained MPA in 2013-18. 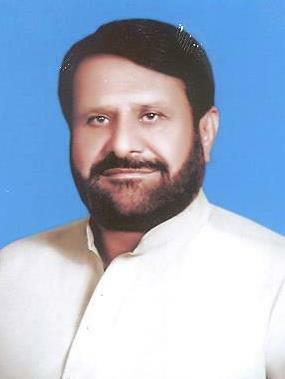 Mouza Maqbool Wah, P.O Adda Zakhira, Tehsil Duniyapur, District Lodhran. Kothi Al-Habib Qasim Bela, Multan Cantt. H.No.82, Raza Block, Allama Iqbal Town, Lahore.